(1846 – Southern Europe) This specimen spent too long in a pot, hence its misshapen appearance and black metal props. 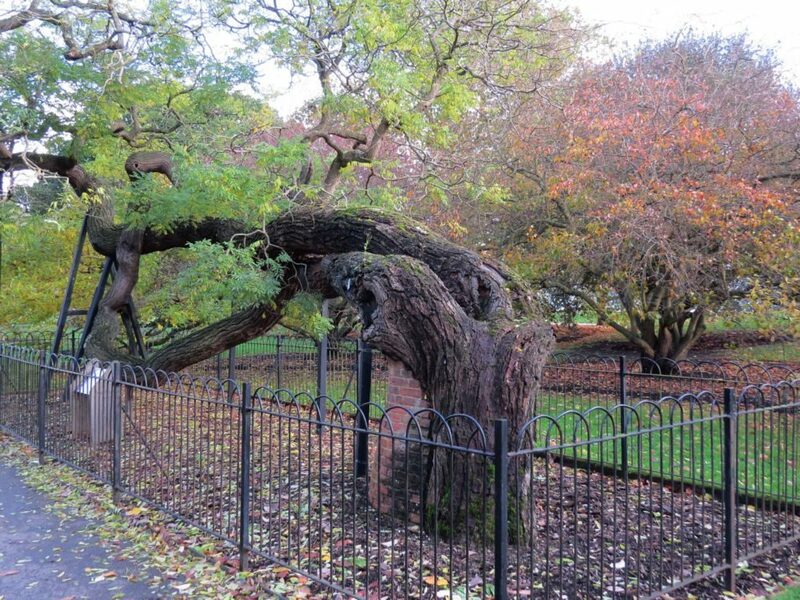 It is, however, one of Kew’s most iconic trees. Stone pines typically have tall straight trunks with an ‘umbrella’ of foliage on top. The first time I remember an individual tree exerting a powerful effect on me was when I moved to a large shared Georgian house on the outskirts of Bath. Of course, trees provide us with shade, relaxation and aesthetic pleasure, and their practical uses include fuel and food, dyestuffs, spices, latex, resins and life-saving medicines, as well as timber for every imaginable use from weapons to the amazingly life-like carvings of Grinling Gibbons. But these qualities and uses have nothing to do with reverence and respect. Japanese Pagoda Tree (Styphnolobium japonicum). (1765 – Despite its name, the origin of the species is China) Over the years many techniques have been used to prolong the life of this tree including the brick wall at its base. No sooner had I moved into my new place than I was presented with a large bill towards the shared cost of tree surgery and yet more support cables on an enormous misshapen tree in the garden. The tree surgeon told me its remarkable history, and my resentment was replaced by a deep sense of pride that I owned part of it (probably just the steel cables). The tree was a Bhutan pine (Pinus wallichiana), native to an area stretching from north west India to south-west China, brought back to England by sailing ship around the Cape of Good Hope, grown from a cone, and planted in my garden in the 1760s. Pre-dating the French Revolution by a generation, struck by lightening several times and surviving several ferocious storms this tree deserved my respect. 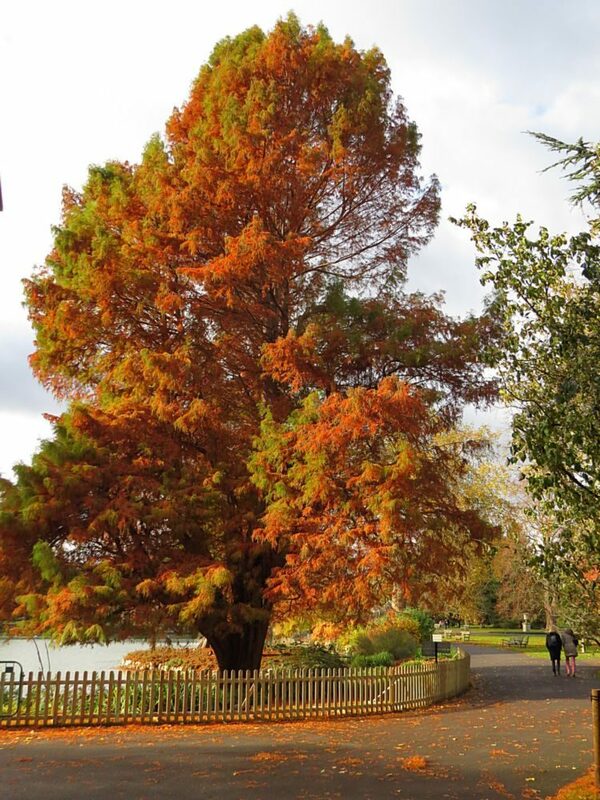 Moving to London I discovered that the Arboretum at Kew has many such trees, as well as those renowned for their scented or beautiful flowers and colourful autumn foliage. 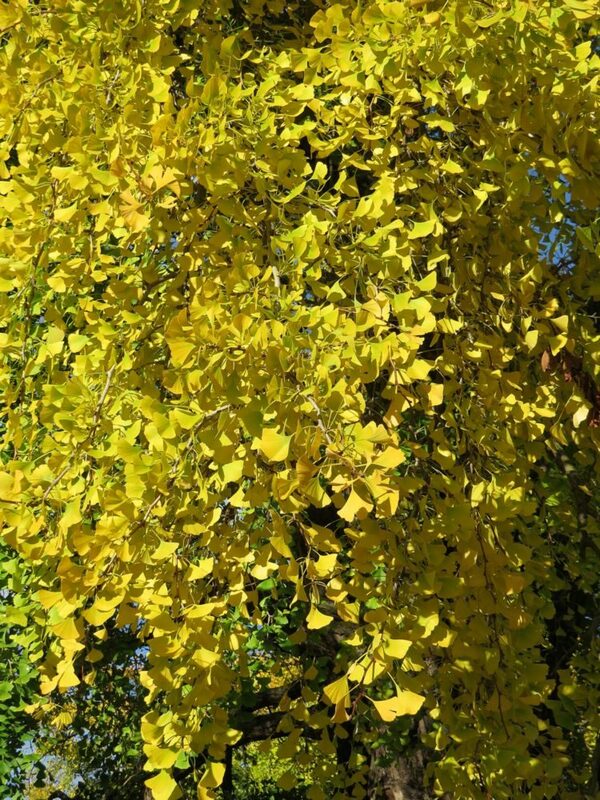 (1762 – China) A species of tree over 200 million years old, Gingkos are often planted in cultivation, but few remain in the wild. Widely used in Chinese medicine research is being carried out as to whether its compounds can ameliorate memory loss. Although the first tree collections were in the Egypt of the Pharoahs, where ebony was brought down the Nile from Sudan, pine and cedar shipped from Syria and frankincense from Arabia, it was the scientific curiosity of the Enlightenment and the opening up of the New World and trade routes to Asia that led to the first major European collections. By the 1830s the term ‘arboretum’ was being used to denote a botanically significant collection of a variety of trees, intended in part for scientific study. 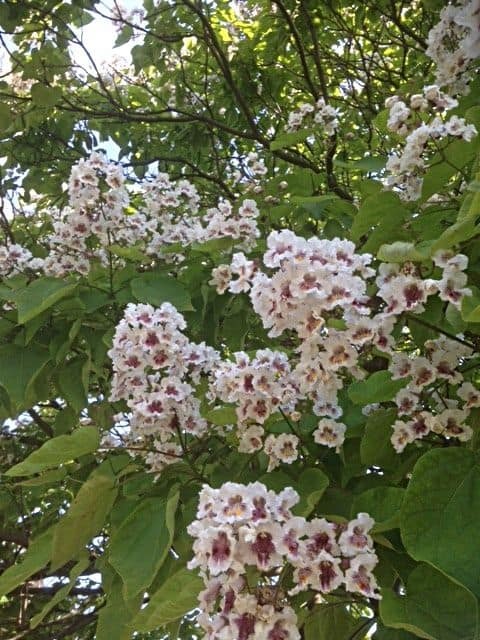 Cherokee Native American tribes called it Catalpa, hence the origin of its Latin name. From the South East United States, it is widely planted for its bright green heart-shaped leaves and trumpet-shaped flowers of mid-summer. The arboretum at Kew was a slow starter compared to others in the country, but George III merged the Kew and Richmond royal estates in 1802 and appointed the famous plant collector Joseph Banks to advise and add new species. After George III’s death, the government took over and funded Kew and a series of energetic directors in the mid- to late-19th century made it undoubtedly the finest arboretum in the country. 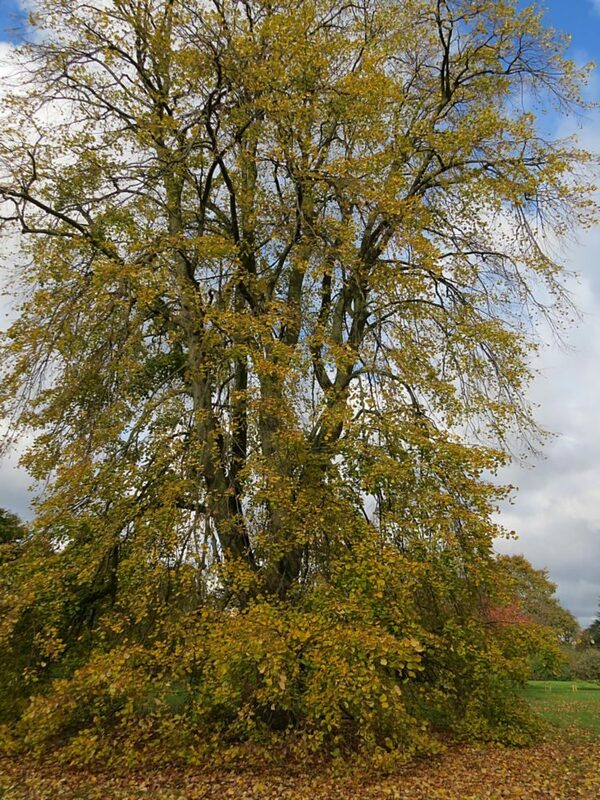 (1762 – Eastern US Seaboard) A member of the bean family with feathery green foliage and fragrant pea-like flowers in late-spring, this specimen is held together by steel bands. 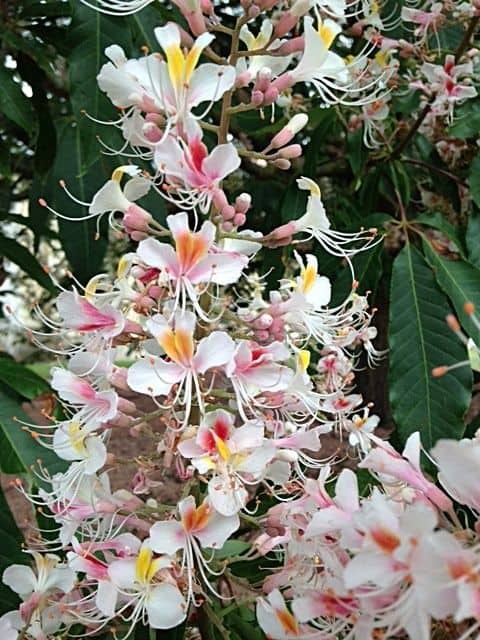 In 2009, Kew’s scientists discovered that the species had four compounds that may prove useful in medicine. 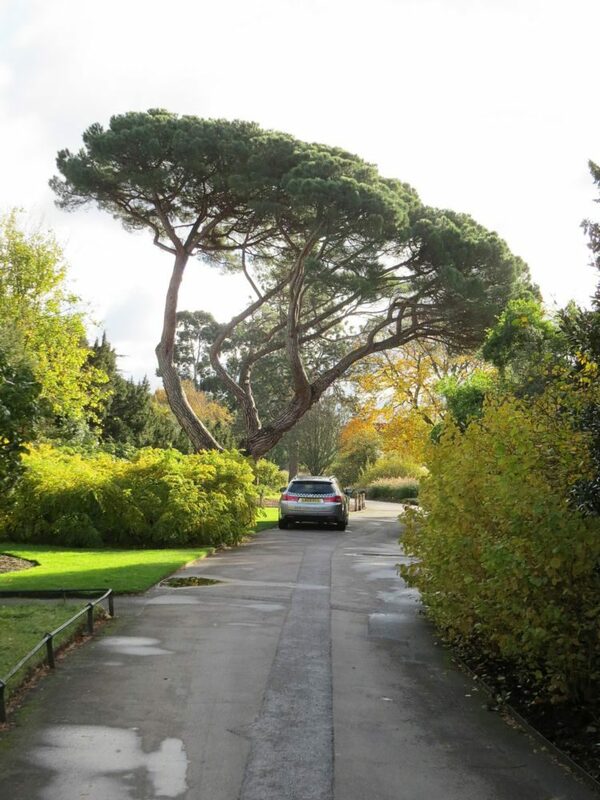 Kew has many old and unusual rare trees that for regular visitors, including myself, have become respected friends, such as the iconic multi-stemmed Stone Pine (Pinus pinea). Pines generally do not thrive well on Kew’s sandy soils and that together with lack of space saw the larger part of the pine collection moved to Bedgebury in Kent (now the National Pinetum with over 1800 different species). Similiarly those species affected by Kew’s urban pollution were moved to Kew’s country site at Wakehurst Place. (Brought to Britain by the Romans and first planted at Kew in the early 18th century by landscape gardener Charles Bridgeman. The edible fruits have been used for flour, porridge and marron glace and provide food for foraging pigs and deer. The severe storms of October 1987 and January 1990 saw over 700 trees lost (mostly broad-leaved deciduous trees) but it also presented an opportunity to modify and replant parts of the collection. One of the trees, a Turner’s oak (Quercus x turneri), was uprooted in the storms but when it settled back into the ground had a new lease of life, believed in be as a result of the soils becoming de-compacted. 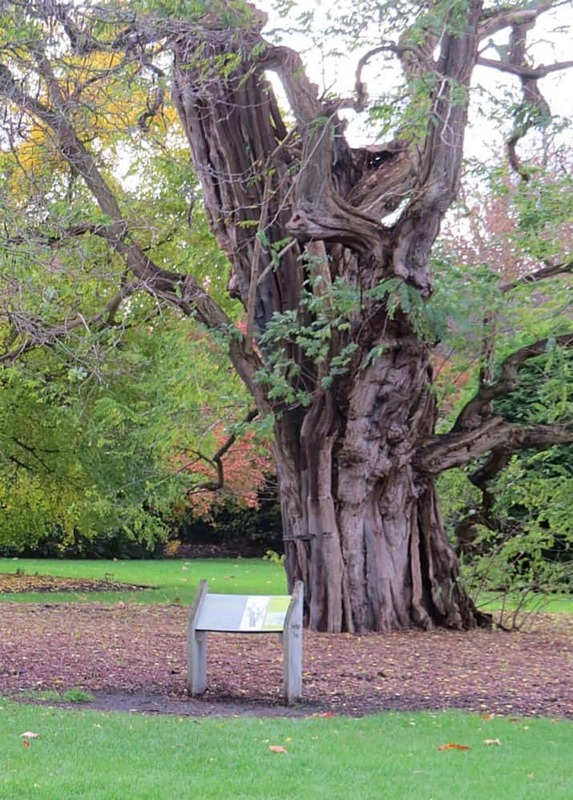 A pioneering technique developed by the arboricultural team at Kew, and now a regular treatment for older trees, is a process called Terravention which consists of injecting the soil around the tree with a mixture of air and mycorrhiza (symbiotic fungi) to reduce compaction and increase lifespan. Pests and diseases arriving from other countries (such as oak processionary moth) provide a succession of new challenges as well as climatic factors such as drought, flood and global warming. 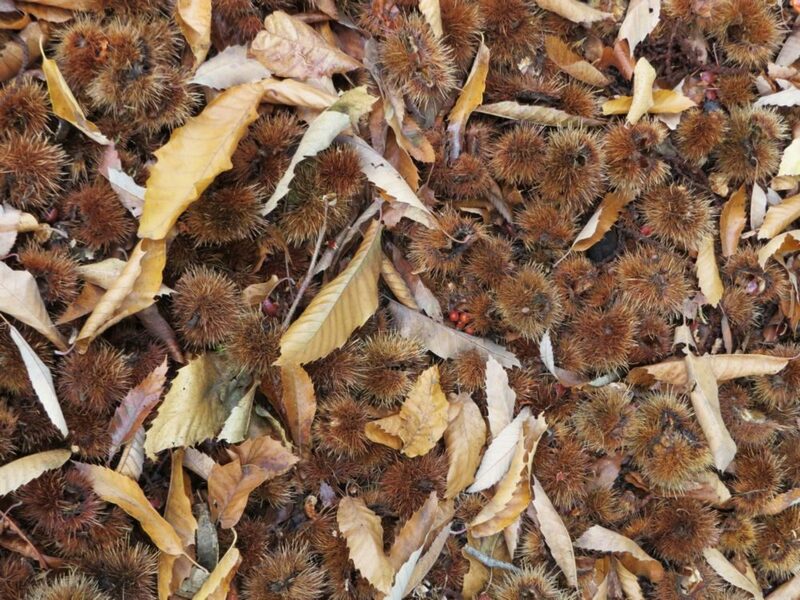 Kew has one of the world’s finest arboricultural collections of over 2,000 species and 14,000 trees that includes many rarities that teeter on the verge of extinction in the wild. It is often the more glamourous attractions that take attention away from the diversity, beauty and interest of its trees, which at every season presents new delights, including the wonderful winter silhouettes of their crowns and fascinating variety of their trunks. Kew’s Arboretum is a national treasure and unrivalled delight.